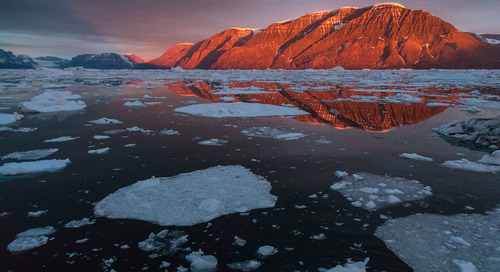 Perhaps the only constant aspect of life is change, and nowhere is this more apparent than in the Arctic. Here, the seasons sweep the earth in dramatic contrasts, from the dormancy and darkness of winter to abundant summers of endless light. 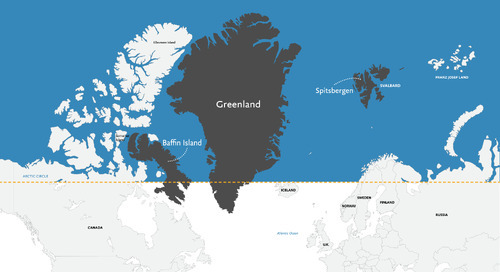 And in Greenland, there is ice – the blanket of winter sea ice, or currents of glacial icebergs, making visible the infinite flux of the ocean. 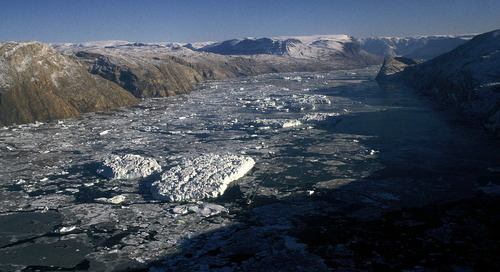 Ilulissat’s ice-choked waters offer a constantly changing view. Looking out over the town of Ilulissat, West Greenland, where towering icebergs glided past in the tide, I found myself reflecting. In a place like this, each day, current, and weather system could bring a staggering difference in the local scenery. Overnight, open water could transform into a barricade of crystalline sculpture, the size of mountains. In a place like this, one’s acceptance of change would have to be innate. What does that do to a person? I thought. What could one achieve with that kind of adaptability, openness, acceptance of the unknown? 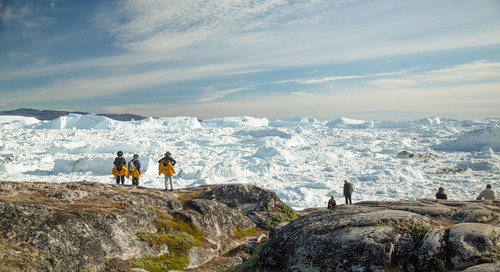 Quark Expeditions guides take in the magnitude of Ilulissat Icefjord, West Greenland. 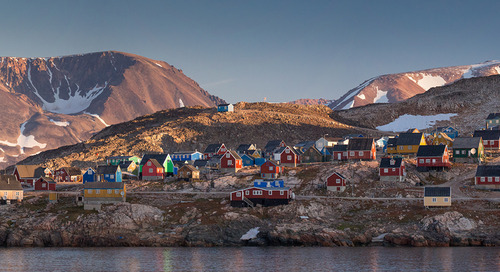 Overlooking the shores of Ilulissat stands a beautiful wooden museum. It is the childhood home of Knud Rasmussen (1879-1933), the famous Greenlandic/Danish explorer. Raised in Greenland but educated in Denmark, Rasmussen was able move seamlessly between two very different worlds: that of European academia and research, and the indigenous Inuit culture of his origins. Throughout much of his work, he sought to highlight the role that indigenous peoples have played in Arctic exploration – from the earliest Paleo-Eskimo peoples, to the expeditions of later explorers from North America and Europe. 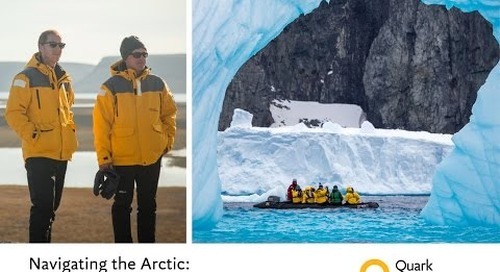 In short, his achievements celebrate the interconnectedness of Arctic history across time, geography and culture. Rasmussen is best known for his Fifth Thule Expedition, an epic dogsled journey from Greenland to Siberia across the entire North American Arctic. 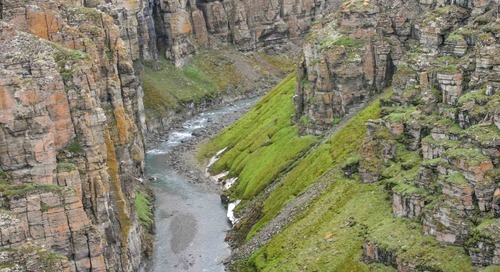 As he traveled, he met and learned from many indigenous peoples, conducting detailed archeological and anthropological studies to decipher the origins of the Inuit race. One can imagine Rasmussen, and his quest for circumpolar discovery, powered by the same openness that his childhood landscape instills. 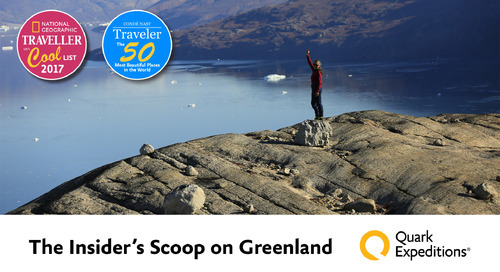 Traveling in Greenland, we follow in Rasmussen’s footsteps through our shared desire to learn about those who have come before us. The country’s history is tremendously rich, and each site has its unique stories spanning centuries, nationalities, motives and dreams. 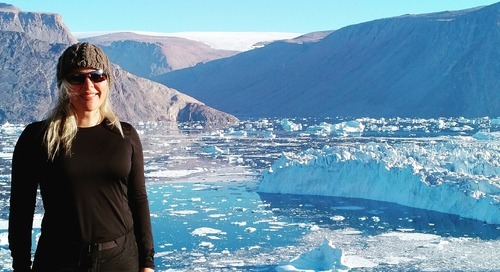 By understanding what drove others here, we can discover how even the most remote landscapes have a human aspect that we can feel and relate to. 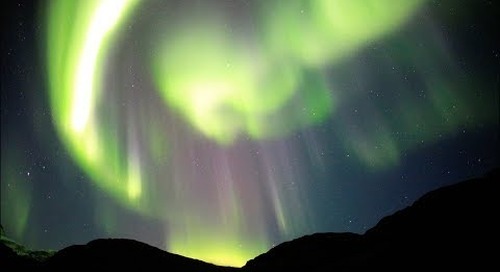 Some of these experiences are obvious, others more subtle. On an expedition trip to Greenland this past September, in the sprawling valley of Blomster Bugt, fields of tundra flowers glowed in the warm afternoon light. Despite the sun gracing the land, the variety of plants, and the musk-ox hair caught in the twigs of polar willow, we were quite aware of the rapidly approaching winter. What would have brought people here? What would it be like to live here, long ago? The hut at Blomster Bugt, where Norwegian polar bear hunters overwintered in the early 1900s. Ducking through the door of the valley’s lone hut – its frame barely big enough to squeeze through – I was overwhelmed by the surprising warmth of the cabin’s insulation, the sweet aroma of foreign wood. Built by Norwegian hunters in the early 1900s, this hut remained a living piece of history that we could see and interact with. Peering out of the window, I imagined the relative comfort that such a hut might provide in the depths of winter; the camaraderie that would build over the hut’s tiny stove. In a single breath of the cabin’s warm air, the history of the place came to life. checks out the hunter’s hut at Blomster Bugt, East Greenland. The interior of the hut at Blomster Bugt, built by Norwegians who hunted for fox and polar bear at the start of the 20th century. 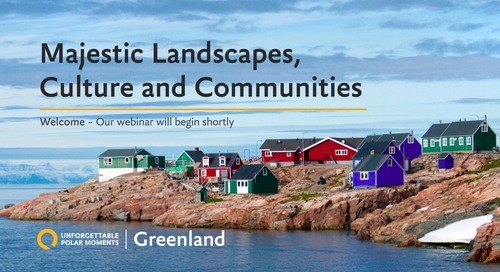 While much of Greenland’s history lies in the distant past, its story is continuously unfolding. 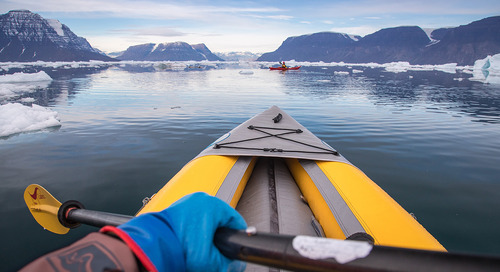 Expedition travel allows us the unique opportunity to become a part of this history by accompanying explorers, scientists and researchers – our expedition guides – on excursions into the field. On our voyage to East Greenland, we visited a larger cabin on Ella Island, built by Danish explorer Lauge Koch's expedition from 1931-1934. 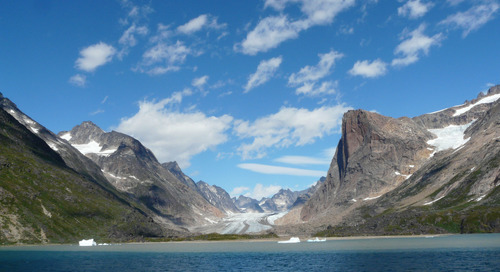 The first to explore East Greenland by airplane, Koch's team carried out extensive cartographical and geological studies of the region, leaving behind a network of field stations and airstrips that opened doors for generations of researchers to come. Inside the building, one of our expedition guides and geologist Michael Hambrey showed us the tiny bunkroom where had he stayed during his own research trips – part of the 48 years of fieldwork that had twice earned Michael the celebrated Polar Medal. The cabin buzzed with stories, anecdotes, and laughter as we learned of the adventures that had unfolded here across time. David Burton, an Arctic historian and guide working with Quark Expeditions, pointed out the antique hammers still resting on the table – remnants from Lauge Koch himself. led by Danish geologist Lauge Koch. 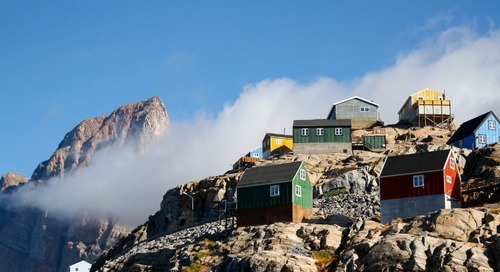 I smiled as I watched Michael pen a careful entry into the hut’s logbook, and then again as some of the other travelers exploring East Greenland with Quark Expeditions did the same. Here, the early explorers had laid a framework of knowledge and infrastructure, to be followed by contemporary researchers, and now by us. Geologist and expedition guide Michael Hambrey reads through the logbook of the historic hut at Ella Island, where he lived during his own periods of geology field research in East Greenland. Hammers used during Lauge Koch’s expedition to Ella Island, 1931-1934. Accompanying them is a drawing left behind in 1977. 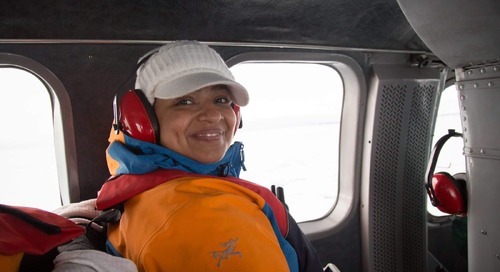 After exploring Ella Island, a Quark Expeditions passenger reviews the log of visitors who have passed through over time. These encounters with history can be subtle, but they leave a lasting impression. 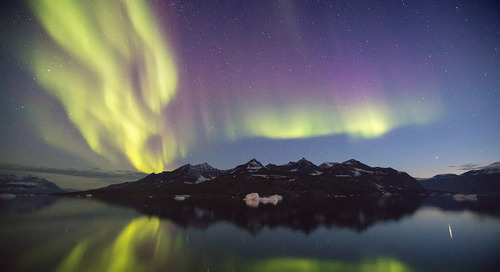 They are stories which we, like Rasmussen, can collect as we travel, piecing together a larger and more unified picture of the fantastically remote places we visit. 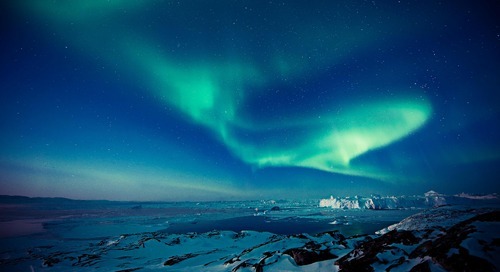 Every journey, regardless of purpose, involves an element of discovery - lifting the veil of mystery that enshrouds Greenland in the imagination. 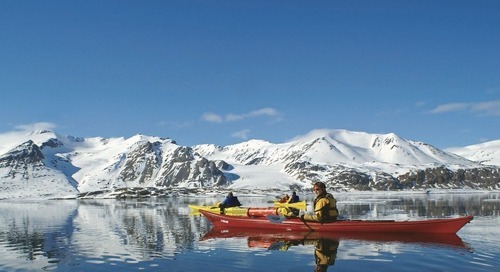 Plan an expedition trip to Greenland and experience its thousands of years of exploration history for yourself. Browse itineraries today.